Love me some Starbucks – right? Wallet and waistline don’t always agree though. Did you know that those super yummy sugar filled fraps can have up to 60 g of sugar and 500-600 calories for a venti size? Yes, you can go with the lower fat milk options and sugar free syrups – but these syrups are full of chemicals that aren’t super good for you. I was needing an afternoon pick me up and wanted to avoid coffee. 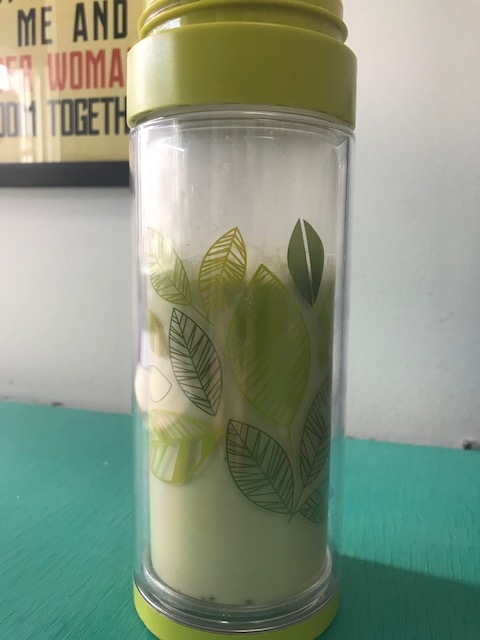 I am currenly restricting my sugar and refined carb intake and so my Keto friendly matcha frappuccino was born! Three benefits: low sugar, easy to make, damn tasty! The third one is most important. wait a sec, before I keep typing… I gotta go make one of these babies. That literally took a minute. the directions are too easy for it’s own section – just mix. I find it is easier to shake because it is sometimes hard to get the matcha to dissolve. hope you like this as much as I do! I have also figured out that it is good even without the Stevia but it does taste more frap-like with it…. I can’t wait to make this into a frozen concoction this weekend. So good and guilt free coming in at about 75 calories and 1 g of carbohydrates. 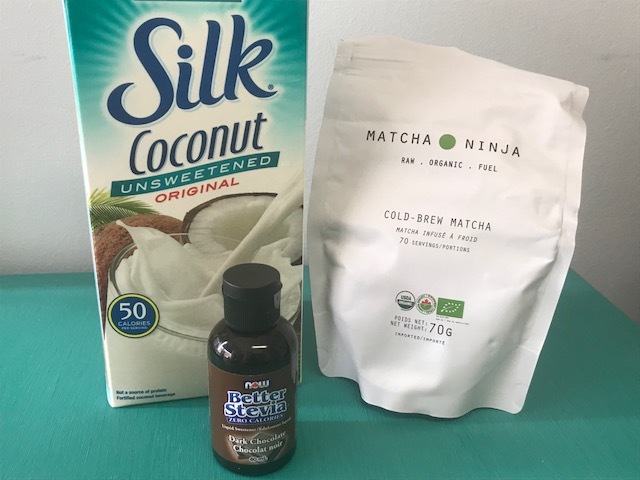 I have been to many a Starbucks and I have asked several time if they have unsweetened coconut milk – answer is always no so I can never get a low carb friendly drink… Now that I have figured this one out they may not see me often at Starbucks…. HEY STARBUCKS PLEASE STOCK UNSWEETENED COCONUT OR OTHER NUT MILKS!!! I AM TRYING TO GIVE YOU MY MONEY!! !